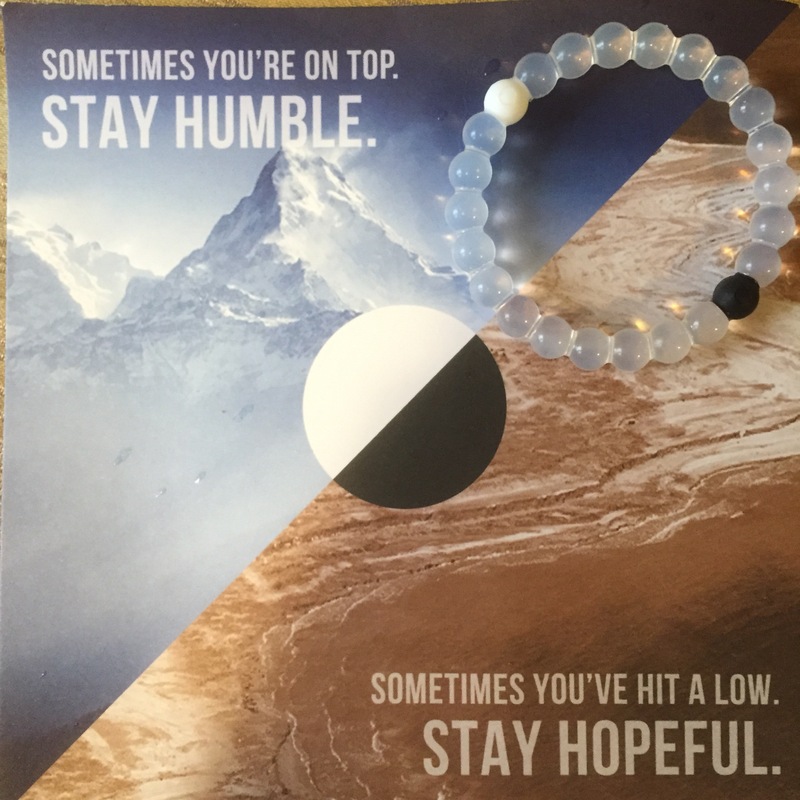 People have often said to me in the past year, “You’re so brave.” And although I am always flattered, I also always think, “not really.” Because the reality is, I didn’t choose this, I didn’t have a choice of whether or not to get cancer and I certainly have no other option but to get treatment. It just happened. The only thing I can do is to keep my head held high and march on. But the amazing men and women of our armed forces cannot say that. They choose to put themselves in harms way to help others. They make a conscious effort to put their lives on the line in order to protect our country and our freedom. They make the ultimate sacrifice in honor of our country, when they give up their lives so that others’ lives can be better. It’s awe-inspiring. Almost unfathomable when you really sit and think about it. I truly can’t imagine. I can respect it to the greatest degree but I will never fully understand what that’s like. The men and women of our armed forces are truly the bravest people in the world. Modern-day heroes. So as I enjoyed a beautiful few days, away from work and surrounded by friends, family, food and sunshine, I feel eternally grateful to these incredible men and women that have given everything so that I can enjoy things like doing yoga in the park, or reading a book about Buddhism, or writing about whatever pops into my little head on this blog. Today I feel lucky to be alive, lucky to be given the life I’ve been given and even luckier to be an American. Thank you to those men and women, a million times over. a picture my mom took today at the Boston Commons. 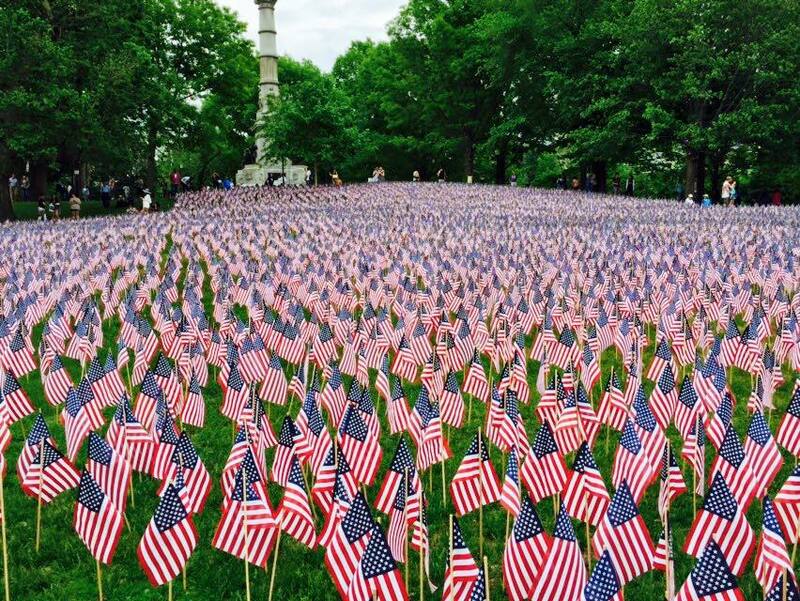 37,000 American flags—one for each of the Massachusetts men and women who have died in the armed services, dating back to the Revolutionary War. One thing that I feel I’ve become better at in the past year or so is opening my mind to other thoughts, teachings, alternative medicines and over wellness of our lives. I’ve grown up as a Catholic, I believe in God and heaven, I trust in westernized medicine and the power of going for a run and lifting weights as exercise. But I also believe that there are other religions that make sense and have useful teachings, I believe that there are beneficial practices and natural remedies that can compliment and enhance our medical practices, I believe in the power of meditation and yoga, for both physical and mental strength. Because of this, I began reading an introduction to Buddhism book called “Open Heart, Clear Mind.” It’s not that I want to change my religious beliefs, but I do find it extremely interesting and beneficial to really listen and truly appreciate others thoughts and teachings. I’m only about half way done but have already found this book to be extremely enlightening and a good reminder of what’s important in life: like being compassionate to others, taking care of yourself mentally, and having an altruistic mindset. 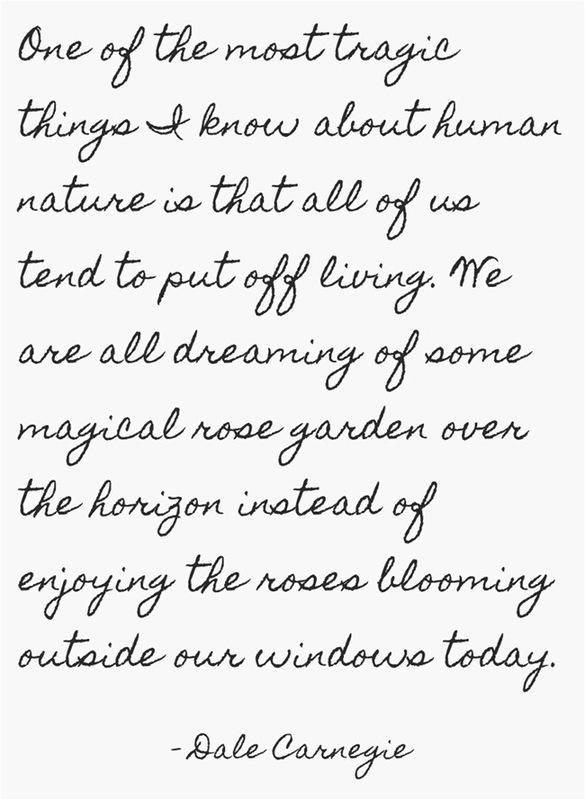 Today, while sitting outside on this gorgeous May day, I read about karma. There are pieces of it that are a bit “out there” for me, personally, but the overarching idea of it makes a lot of sense and can be something to really take into consideration in our daily lives. That the actions and energy we put out into the world are what we therefore will receive back from the world. So is the fruit that you will reap. The doer of evil reaps evil results. I think this is true in so many places in life. I have seen tenfold in the past year that being kind and caring to those around you comes full circle when you’re the one who needs love and support. Being gentle and considerate of others feelings and thoughts, makes them caring and compassionate to you in the future. It’s Sunday night, another weekend has come to a close and a new week will begin tomorrow morning. I’m only human when I say that I’ve thought negative thoughts about those I work with, I’ve gossiped about people, flipped people off when driving to work, or passed judgment on those I don’t even know just by how they look or what they’re wearing. These actions, although natural to human behavior, are not useful to me nor will they bring myself or anybody I love happiness. So although I know I won’t ever probably be able to get rid of these negative actions in my head completely, I think it’s wise to put a more conscious effort into eradicating these types of attitudes when possible. Karma: you get what you give. So give wisely. p.s. 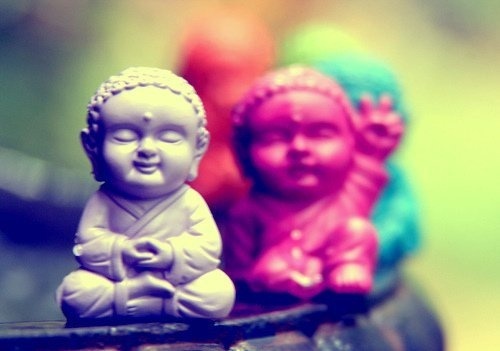 how cute are these little smiling Buddhas? Especially the one throwing up the deuces. I can’t. Last Monday I began an 8 week online course that focuses on career growth and exploration; trying to discover what you really want to do, what truly makes you happy. I signed up for this because as I’ve made mention to before, I feel a little lost right now at work. It could be because of what I’m doing, it could be because I don’t have the flexibility or freedom I fantasize about, it could be because I’m still bitter from the demotion, or it could be because I don’t feel like I’m helping anyone or making a difference in the world. Either way, I’m restless and I don’t love the feeling. And although I don’t feel like I can actually make moves anytime soon, I decided I can take baby steps towards finding a career that’s meaningful and makes me happy on a daily basis. That career could be right where I am today (in an upward trajectory of course haha) but I need to clarify that in my mind so I can stop second guessing myself. I’m only one week into this course but I’m already finding it more challenging than I would’ve expected. Only because there’s a lot of “self reflection” so far and reflecting on yourself (and trying to be unbiased) is REALLY hard. When it asked me to list things that make me the happiest, I answered with things like, riding waves in the ocean, singing out loud in the car, feeling the sunshine on my face, dancing around my living room, cuddling with Mike, going for long walks, doing yoga outside. Although these things are all wonderful, none of them are qualities that can point me in the right direction of a career. When asked for what people ask for my help on, I literally couldn’t think of one thing. When asked what I’m good at, I had a really hard time thinking of anything. I kept thinking, “well, I’m a people person” but that’s not a sellable quality. You can’t make a career out of being a people person. So I’ve been feeling a little frustrated, I want so desperately to figure out what I’m supposed to do. I’m impatient, and I want to figure it out NOW. I overthink things and let my thoughts get the best of me. And this is one of the cases where I am overthinking the absolute crap out of everything. Honestly, it’s because I feel this overwhelming weight on my shoulders to make the most out of my life and since work is about 75% of your waking hours, that includes my job. I try to remind myself that I’m only 26, my whole life doesn’t need to be planned right now. But what I’ve also learned in the past year, is that life is short and it’s too short to be unhappy for too long. If you want a change, you have to make that change for yourself. Just like success in a job doesn’t come without effort, happiness doesn’t always come without effort either. You have to work for a promotion, work for a raise, and so forth you have to work for your happiness, you have to make a conscious effort to make changes to your life in order to be your happiest, most satisfied self. Do you guys ever feel like this? What have you done to best optimize your work life? I’d love to hear from people!! I tend to always be thinking about “what’s my next move,” how I can improve my life, how I can get something better than what I have now. With all this dreaming of what’s next, it’s hard to truly appreciate what I have now. Monday’s tend to be the pinnacle of this mindset– “ugh, I don’t want to be here. I can’t wait for the weekend.” But I need to start reminding myself, that although my work life is far from my version of ideal, it’s still a good job and one that is providing me with the benefits that I need so badly at this moment. For that, I am lucky and I should be grateful. Plus, I have friends at work that make me laugh which is pretty awesome. If I was a lone chicken all day I’d be miserable. For so many months, I yearned to be able to work, to get up on a Monday morning and be productive all day. So it’s time to remember that, it’s time to really appreciate the beauty right outside my window. Make today a good day. Take your life and make it something that makes you happy, not tomorrow but NOW.